March 4th was the 25th anniversary for Robotech: Macross Saga. I was one of those kids whose life and tastes were forever changed by this groundbreaking series, but a dark cloud looms over the celebration: Harmony Gold. Sadly UEG productions has to inform the public that we are no longer able to continue producing the Genesis web series as planned. The group received a Cease and Desist order from Harmony Gold USA (the rights holder to Robotech and all related materials), in-spite the well known non-commercial nature of Genesis. The situation at hand does not leave us with another alternative then to remove all Robotech and Macross related materials or derivations from the website. The genesis trailers and all related imagery, containing the materials in question will no longer be available. We would like to thank everyone who participated in the creation of Genesis project for the past 6 years. All the fans that supported us. And we are sorry we are not able to release it in this form. We were already planning ahead to create our very own animation. So we are proud to announce the birth of the Artemis project. An complete original science fiction / Mecha animated feature film. Which will be unlike any other sci-fi, with its unique storyline and characters. More information on this new project will be available soon. When a company shows such disdain for their fans, it is really hard to care about them... I love Robotech, but I want to buy the rights from Harmony Gold just so I know the rights are owned by someone who will cherish the fans rather than the current owners that is now treating us like dirt. Deep breath... in... out... ahh... that's better. So I am going to bite the bullet and say Happy Birthday Macross, and Frak You Harmony Gold in the same breath. Macross is too good to be lost in the milieu of a spiteful company. or check it out at Amazon Video or . 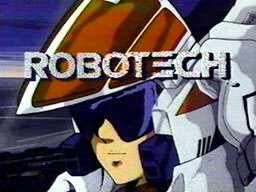 and don't forget to join our Robotech Group!